"Girly Skulls Side Tear Personal Checks" product is already in your cart. 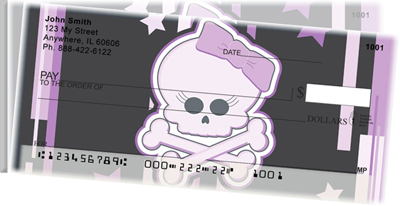 Girly Skulls Side Tear Personal Checks feature images of a bow and mascara wearing skull with crossbones behind and underneath it. 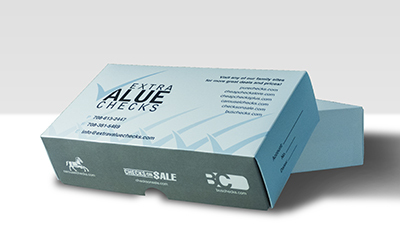 The checks have colors such as black, purple, pink, blue, and orange.